Good morning! I am so excited to help Altenew celebrate their FIFTH anniversary today! 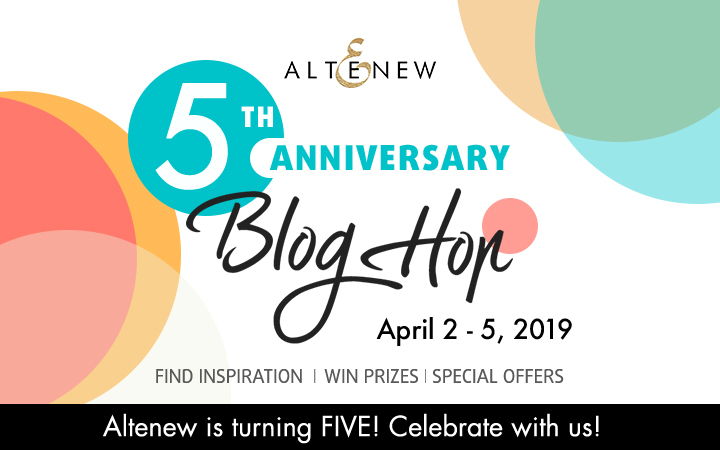 They’re having FOUR days of blog hops with lots of exciting prizes from Altenew and their exciting sponsors! You can find all the giveaways details at the bottom of my post! Today I created a card using one of my favorite Altenew sets, the Build-A-Flower Morning Glory. I love morning glories and this set is gorgeous! Next I stamped the curly vines with black ink on dark grey cardstock. I arranged the flowers over the panel and adhered them with a mix of ATG adhesive and foam mounting tape. 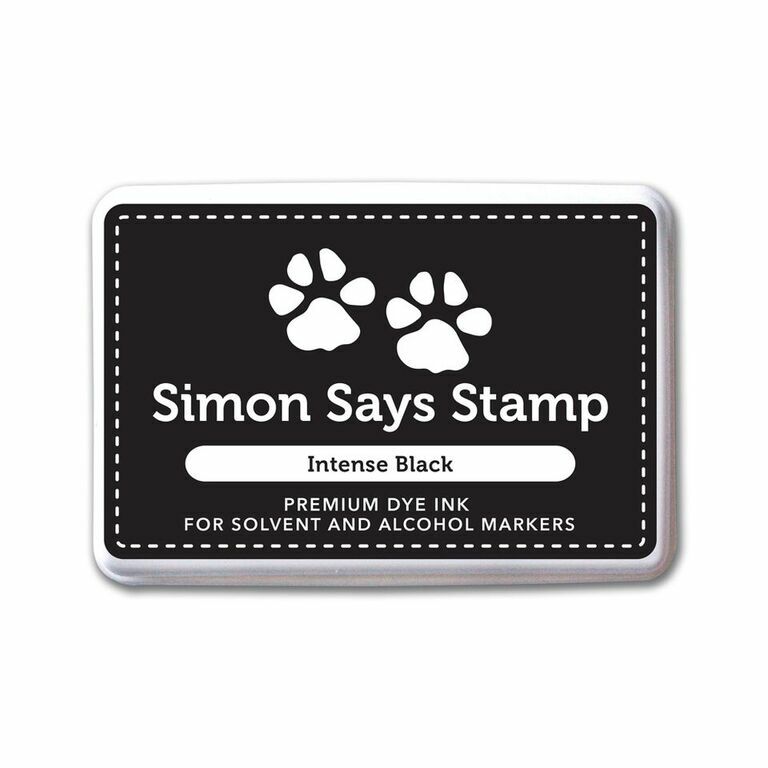 I stamped the sentiment using Silver Stone and Industrial Diamond ink and die-cut them to thin labels. I adhered them over the panel with foam mounting tape and finished the card with a few clear drops! Altenew is giving away a $50 gift certificate to 5 lucky winners and one Altenew Academy class to 10 lucky winners. There are also 14 awesome companies/crafty friends who are celebrating with us, and they are offering some amazing prizes! You can find all those details on the Altenew Card blog! Be sure to leave comments by 4/12/2019 for a chance to win! 33 winners will be chosen at random from the comments left on any of the blogs listed below and will be announced on the Altenew Blog on 4/20/2019. 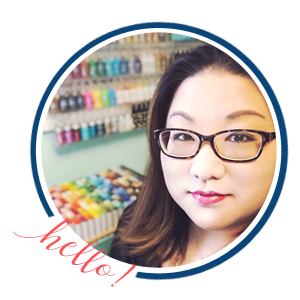 Lisa Spangler is your next stop and you can find a full list of all hop stops on the Altenew blog! I like Altenew. They have the best flower stamps. Your new card in your blog is very nice. The color combination looks great. Like it. This card is amazing. Thanks for sharing and Congrats Altenew! Great card! I really like the gray shade for the leaves. I love how you colored the flowers! That color really pops from the background of the card!!!! 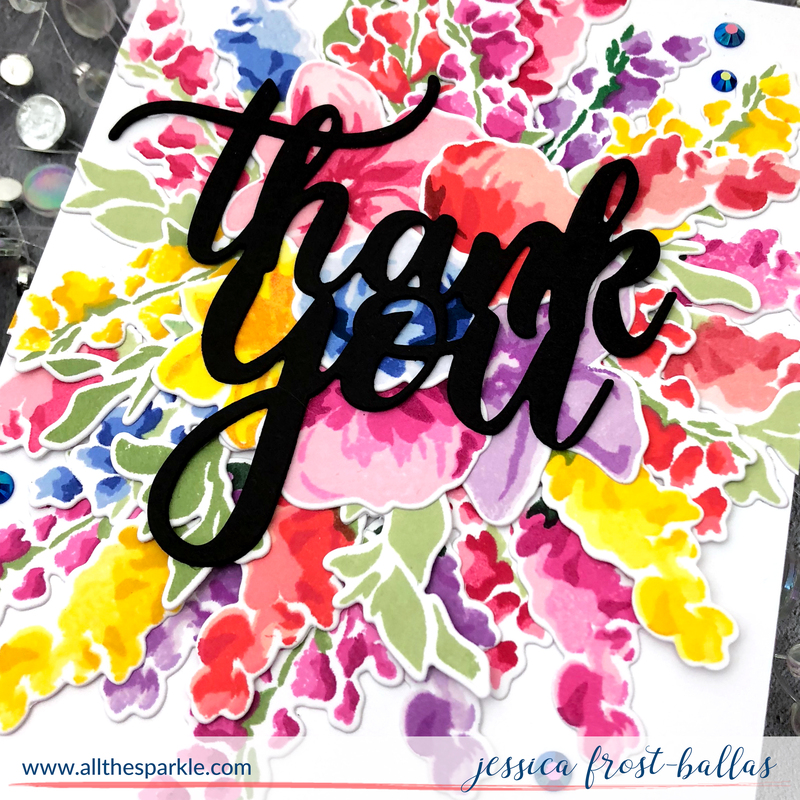 So glad to see you on this blog hop. I haven’t seen many post from you using Altenew so this was a really nice surprise. Especially since you are 1 of 2 blogs I faithfully follow combined with my addiction to Altenew! Now to the card…. I love the colour choice and how their is so many spring happy flowers on the card! The dark background is perfect to make them stand out. And the vines that are stamped just give it the extra wow factor. Lovely! Gorgeous! I love these bright flowers! Love your card. Thanks for celebrating with Altenew. Stunning those morning glory flowers look on black !! Beautiful card. 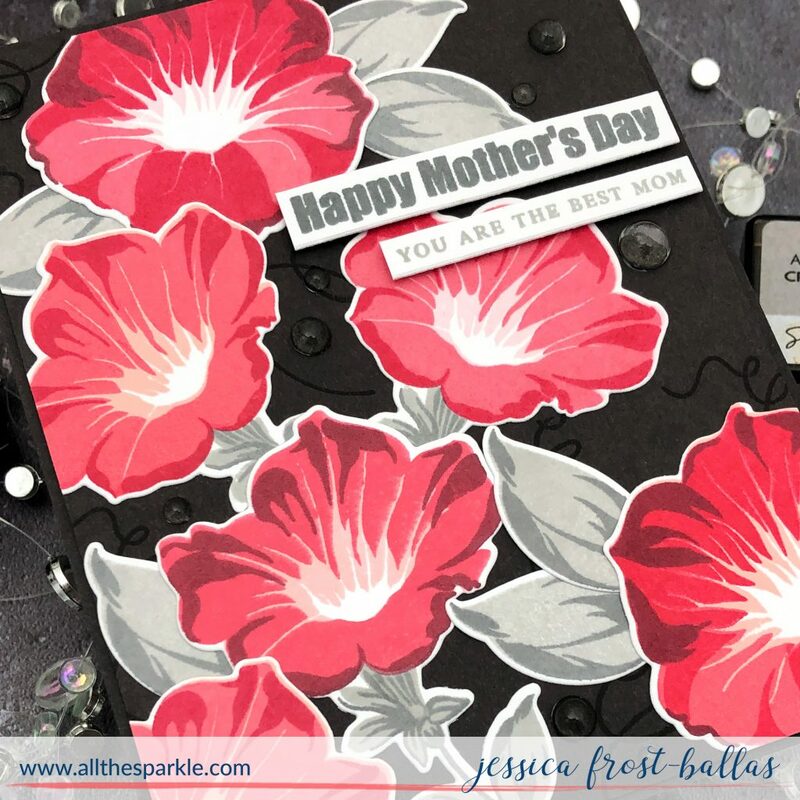 Beautiful card – just love those colors on the black background! The morning glories pop off the black. I love the colors you chose for the morning glories! The black background is a gorgeous backdrop! Love it! BEAUTIFUL! I LOVE how the flowers pop off the black background! Happy Anniversary to Altenew!!! A very different take on morning glories, lovely! 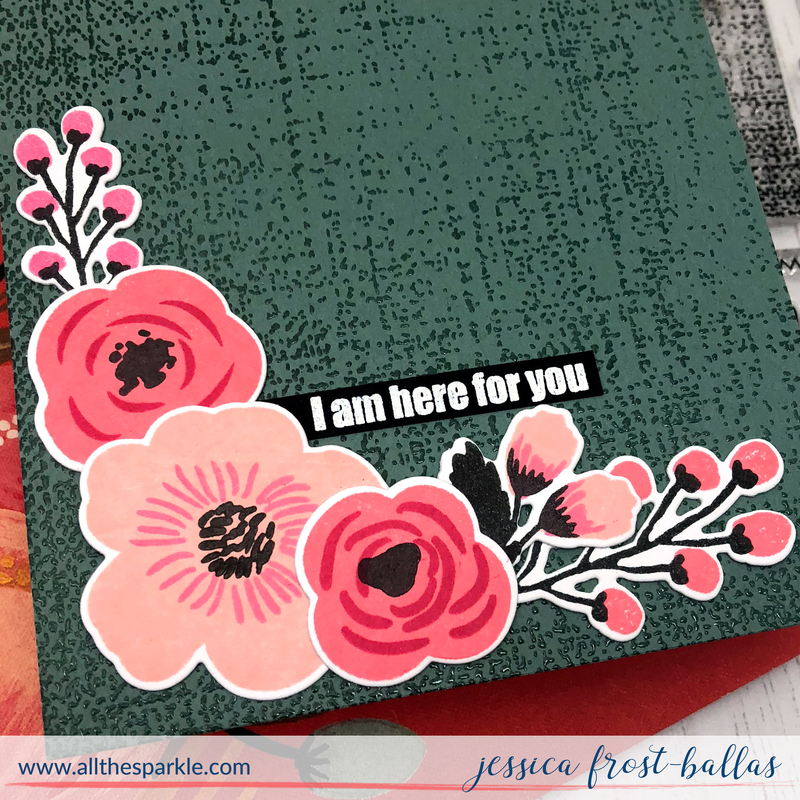 A stunning card, Jessica! Love the stamps and color combination. Very beautiful and fresh. Love theses cards. Very striking. Thanks for sharing!